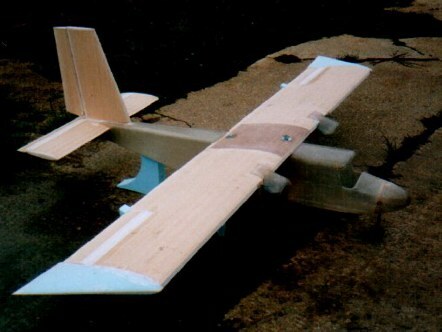 This is my CAP 232 now fitted with a modified wing with washout incorporated as the original wing had poor low speed characteristics which caused a vicious wing drop at low speeds,the model has done many hours of flying and is a real hot ship. 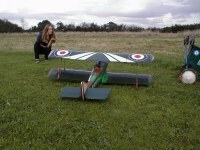 Shot of my old Sopwith Pup against a angry sky,model is over 20 years old and still going strong. 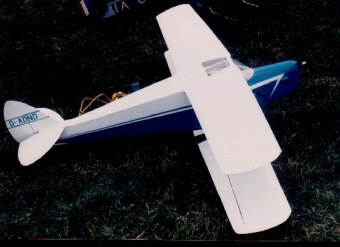 Another view of my Pup,will fly from small fields easily. 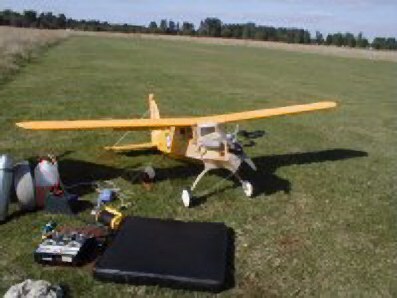 Comper Swift powered by OS.26 Four Stroke engine,this model is one of several that I have built over the years of this type of aircraft,ranging from one powered with a Cox 010 Tee Dee and flown free flight. 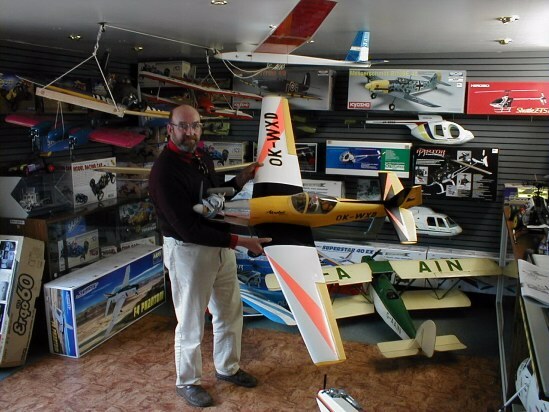 Keep an eye on this page for beautiful scale model aircraft that really fly just like the full size aircraft. 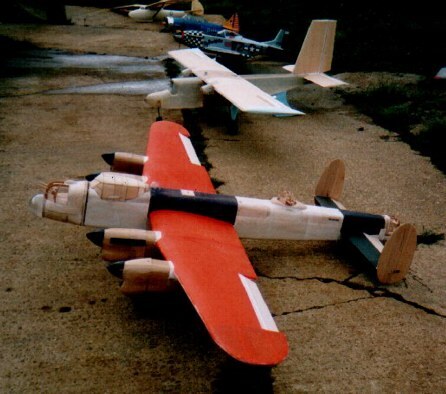 Scratch built models built by my father the late L.J.Clay,I am in the process of restoring them after years of neglect and dust,shown here is a Short Stirling bomber,Tiger Moth,Gloster Gladiator,Hawker Hurricane and a Howard Hughes Racer. 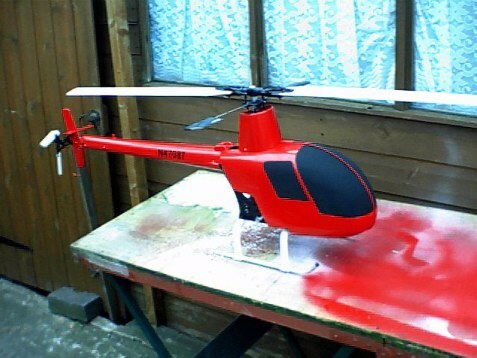 This is my latest project a scale model of the Robinson R.22 helicopter seen here on its first flight,the donor helicopter is non other than the Shuttle ZX,fuselage is made from paper mache and the boom rolled from miralyte ply,the machine performs really well,radio equipment is JR,engine Irvine 36H,note the specially manufactured undercarriage and ingenious masthead assembly which had to be designed to accomodate the top starter hexagon,top of the front pod goes direct onto the bottom pan which accomodates the radio gear. 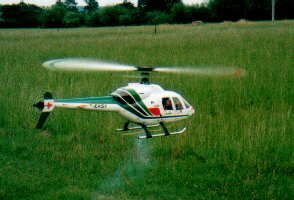 The model is a lively little helicopter and very enjoyable to fly. 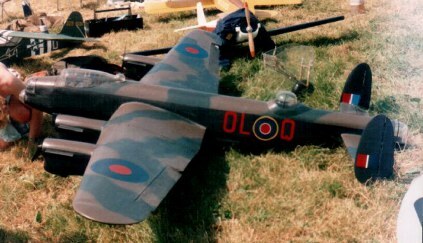 Rear view of the Lancaster shows the amout of work already incorporated into the model. 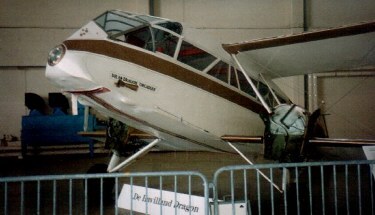 One of two Islander aircraft now under construction,since this photograph was taken over 40 feet of wiring has been added to the structure operating a total of 8 servos. 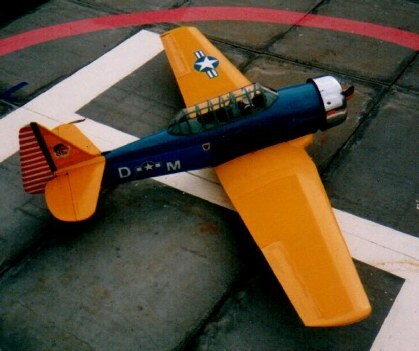 The Harvard was finally finished in September after a difficult decision on the colourscheme,I opted for this typical US Navy scheme which proved a good choice due to its visability in the air,I really enjoy flying this model because it presents just that little bit of something to fly correctly,not too easy but once you have mastered her a real joy to handle,I have now clocked up 3 hours of flying with her and Iam very pleased with the results. 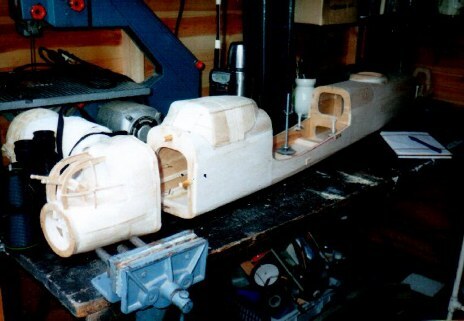 As can be seen below much progress has been made with this project,all of the major assemblies have now been mated together without any hitches,progress continues apace when time permits.. 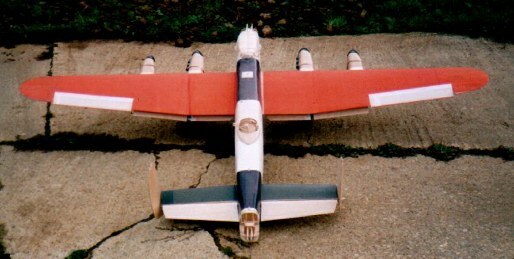 The custom built undercarriage can be seen in this front view. 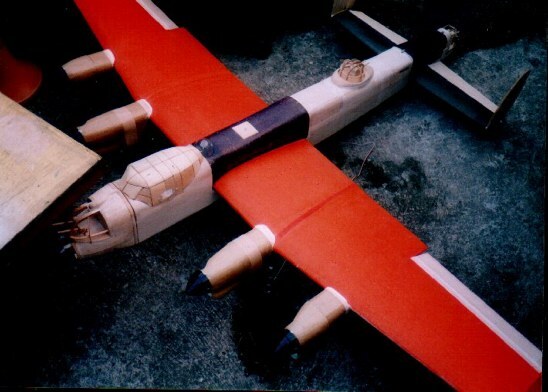 This Focke Wulf 190 was built from a free plan in one of the model magazines,it looked lovely in the air but was very tricky to take off,finished in Farnborough captured colourscheme its demise was when someone walked out in front of me when taking off and I had to just roll it in to avoid hitting him,it also suffered from an in cowl fire the week before so could not be considered a very lucky model,thats the way it goes with flying models. 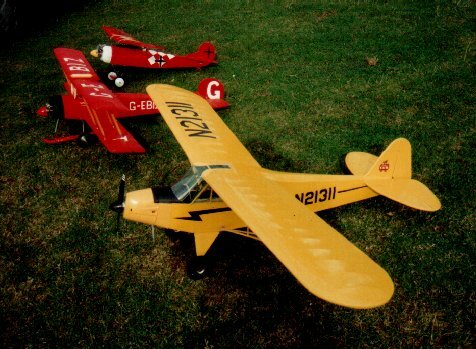 Group of models of mine circa 1990,here are a lovely J3C Cub,Avro 504k and a Fokker D8 built from a Veron kit and modified to take lightweight radio equipment. 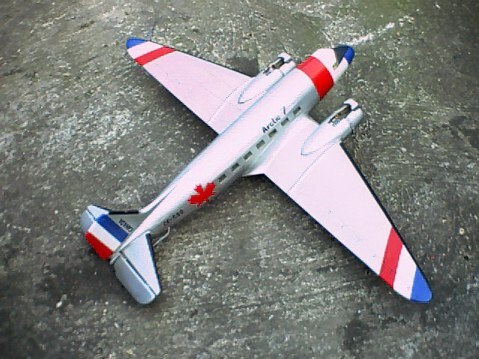 Model of a Dakota under construction,a lovely aircraft to make up as a model,scroll up above to see a picture of the completed model. 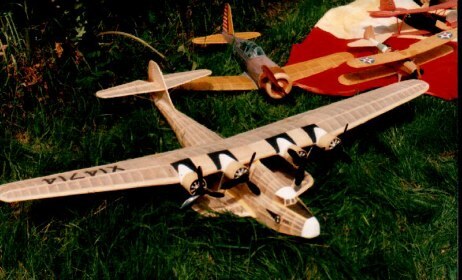 The De Havilland Leopard Moth has always been a favourite of mine and over the years I have built several models of the design,this one was built from an American plan which a friend gave me,it incorporates much ply in the construction and flew well eventually with a 60 sized four stroke engine,long since gone the photograph was tucked away in my files and this serves as a reminder that stand off scale is probably the best type of model for the sports flyer. 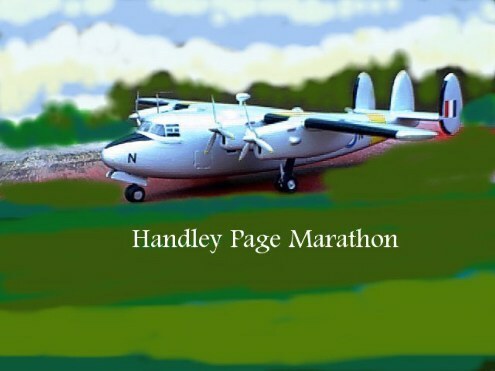 This is a vacuum formed model of the Handley Page Marathon the type of which is now long since extinct,the aeroplane formed the backbone of Derby Aviation which eventually became British Midland Airways. 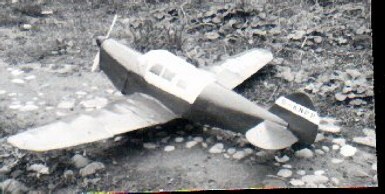 Model and diorama by Barry Clay. 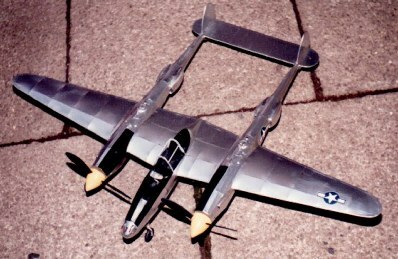 Rare type is the Convair XV-1 shown here in model form. 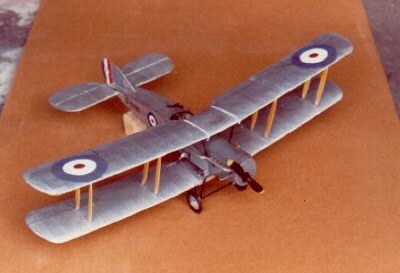 Small scale model of the one and only 'Slip Wing Hurricane' this aircraft was designed to increase the range of the type by adding another wing and thus extend its range,the redundant wing was released at a specified point,needless to say the project never came to anything,another idea which was tried on Spitfires was to tow them behind Wellington bombers as gliders,release them and the engines would be started in flight! hair raising by any standards,these experiments were carried out at Staverton airfield during the second world war. 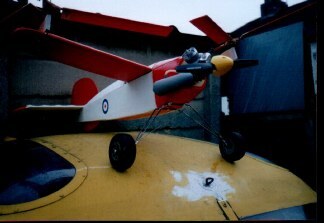 This is the Hobbit autogiro with what appears to be a modified dampened helicopter rotor head,despite numerous attempts to fly her she never left the ground! 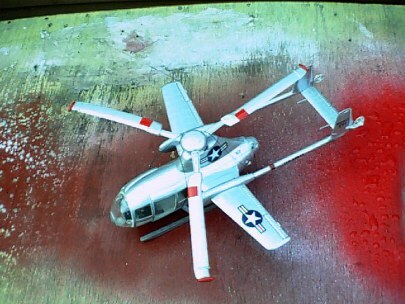 rotor spin up was via a large pulley with which you wound a string and put your foot on the end when you opened the throttle,I never really got to the bottom of why she would not fly but the layout looks very unstable. 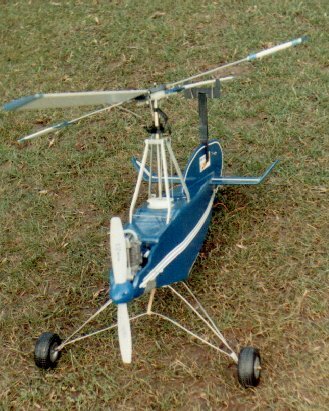 This was the model that triggered off my interest in the autogiro type of model,basically it was a standard fuselage with small stub wings added and two contra-rotating rotors,it flew very well indeed and in even the slightest breeze you could hover and land at your feet! 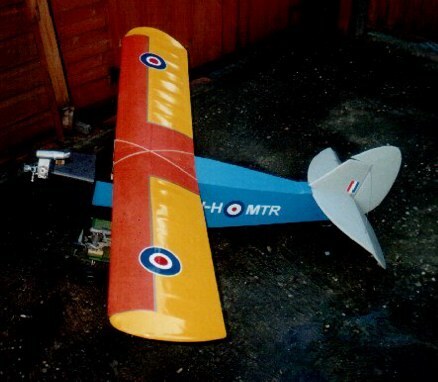 This is my attempt at the Miles Hawk Speed 6 racing aircraft,the plans were drawn up by Chris Hughes of Modelplan and I built the prototype which flew for many years appearing at the scale days at Old Warden,it was to quarter scale which made for a delightful flyer on a mere 120 four stroke,sadly the model was totally written off when an aileron servo failed in flight totally destroying the model including the engine,one day I will build another one when time permits. 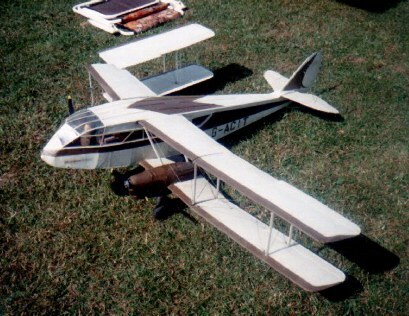 Card and Balsa Grumman Ag Cat model photographed just after its first flight with old OS.61 four stroke which eventually wore out the cam and was replaced with a two stroke motor,did not sound as good but there was more spare power. 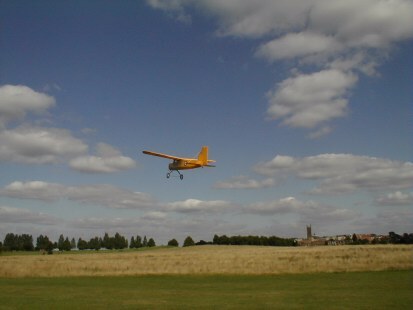 My SIG Zlin is a lovely aerobatic machine,although it was built some two years ago it has only recently been taken out of the hangar and put through its paces,this aircraft was modelled on the ones that I used to watch at Baginton in 1957 when the Lockheed aerobatic championships were held there with famous names such as Leon Biancotto,J.L.Aresti and Prince Cantucazne flying their lovely aerobatic mounts,Bucker Jungmeisters,Stampes and even youngsters such as Neil Williams flying inverted fuel system Tiger Moths! 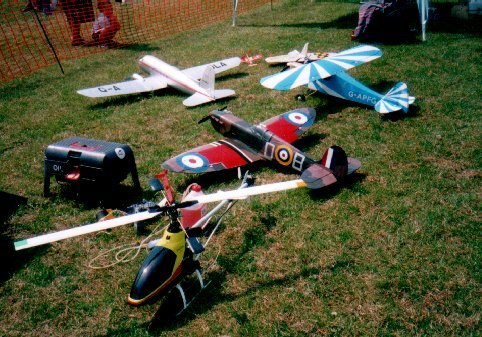 Recently put on a miniature airshow with these models,flying one after the other in true airshow fashion,each model has its own qualities and no two fly alike just like the full size counterpart,the Clipt wing Cub in the foreground flies beautifully performing just like the real aircraft,the stall turns look very spectacular asnd the model does them really nicely,on the opposite end of the scale is the model in the extreme background ,the Parnall Elf which is a grand old lady puttering around the circuit on its SC91 four stroke. 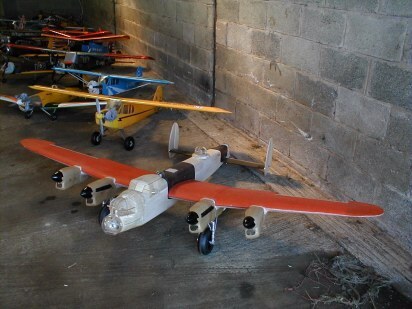 This model was converted from an ARTF kit with two Irvine 25 engines it really goes well. 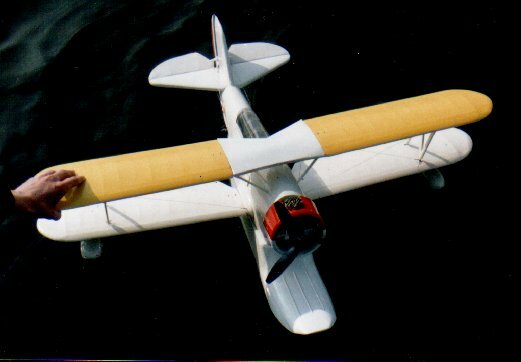 This ALBATROSS C.1 is a film star! 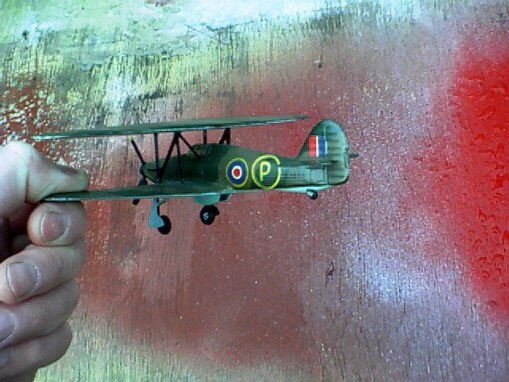 I salvaged her as a wreck after they made the television series 'WINGS' in the seventies,the model had a hard life being loaded up with explosives and given numerous coats of film makers paint,the models had been flown from the back of a lorry and landed in far from ideal places,the wreck was lovingly taken into my workshop and taken apart re-gluing the joints and checking everything out,then I fitted a new radio and engine,re-rigged the model and flew her,she handles like a real old lady very slow and steady,when you ease off the power the nose drops abruptly with the drag of all those wires (built in headwind as they used to say!) 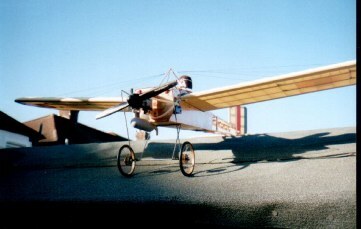 and you have to drag her around the circuit to a safe landing,Iflew her once or twice and then grounded her into retirement the object of restoration to flying condition being achieved. 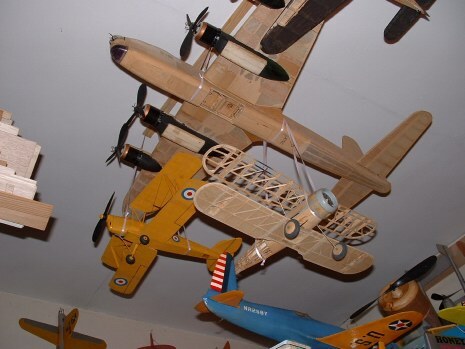 Further examples of the 'WINGS' aeroplanes can be seen at the Helston Flambards museum in Cornwall which is well worth a visit. 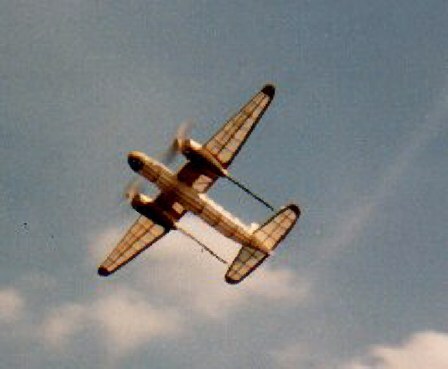 This unretouched photograph is of one of my free flight rubber models in flight,note the twin skeins of the rubber drives operating two opposite handed propellers to eliminate torque,photograph taken at Old Warden of my Lockheed Saturn airliner,first I had to launch the model then grab the camera! 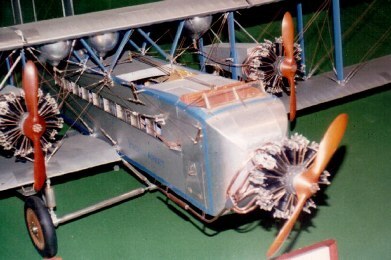 Built from a blue foam cylinder for the fuselage which was covered in ordinary brown paper,nose and tail sections removable for access to radio,designed to test out the large scale soarer concept,only flown three times this six foot span model was eventually scrapped having served its purpose as a test airframe. 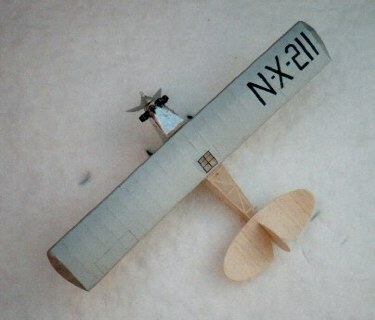 This model was really too small to fly successfully,with all of the scale detail the weight increased alarmingly,the subject is difficult to trim due to that massive centre float,I enjoyed building her it took me all of 8 months to complete,the wings started to warp alarmingly and the model was eventually retired and dismantled,one day I will build another but it will be much larger than this 50 inch span model,some you win and some you loose but it is all good experience on how to tackle a certain subject. 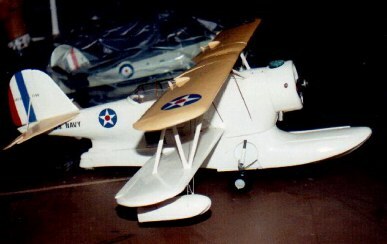 Grumman Duck in the water during taxying tests at Westlake Park 24.5.87,the model was not a great success due most probably to its small size and was scrapped after it was damaged during test flying. 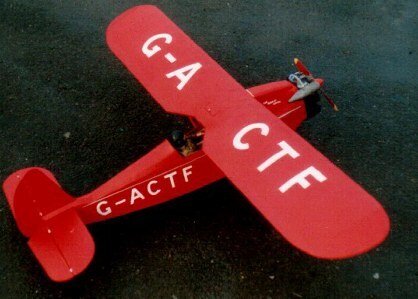 This model was one of several of the type that I have built over the years,my love of this aeroplane came about working on the real G-ACTF which was a very famous aeroplane having being flown to India by the owner of a tea plantation in 1936,a book was written about this aircraft called 'The Scarlet Angel' and if you have a copy then I would like to purchase it from you.The model is a superb flyer now fitted with a small four stroke engine and is over 15 years old and flown occasionally. 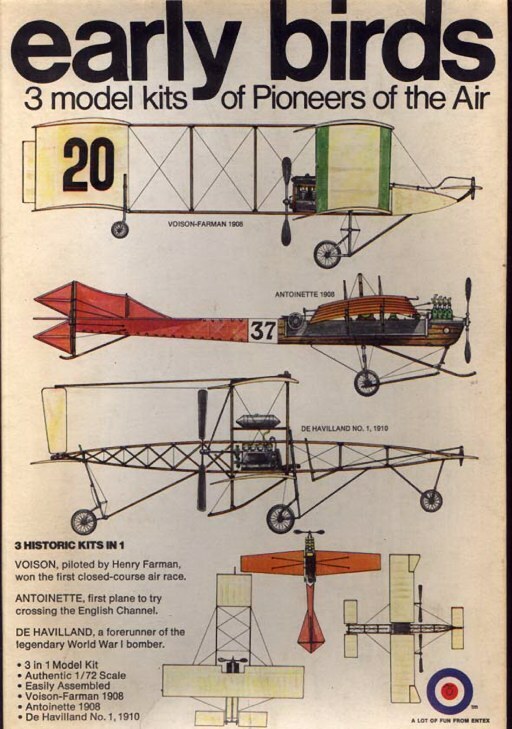 Interesting box artwork for the elusive 'Early Birds' kits which are no longer marketed,kits such as this are ideal starting points to make flying models,scale up the kit and build your own original model. 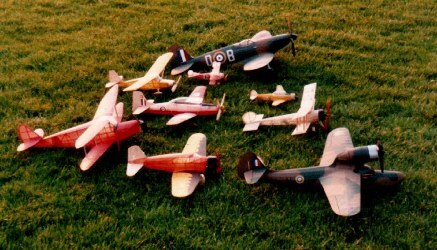 On fine summer evenings when it is nice and calm out come my collection of rubber driven model aircraft and they are given an airing,the sight of these little miniatures fluttering around the sky is a sight to behold,very low tech but who cares! 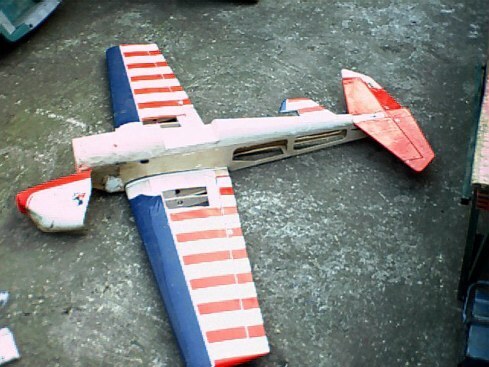 they are real flying machines and if you can trim one of these out then you can handle anything. 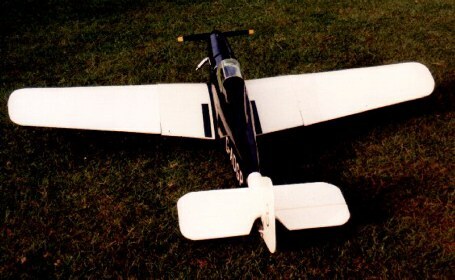 Yes even twin engine models fly with rubber power,the secret is to carve two opposite handed propellers to elinate the torque effect of the two motors,short but very realistic flights can be achieved,this model now has experimental Co2 power but that is another story! 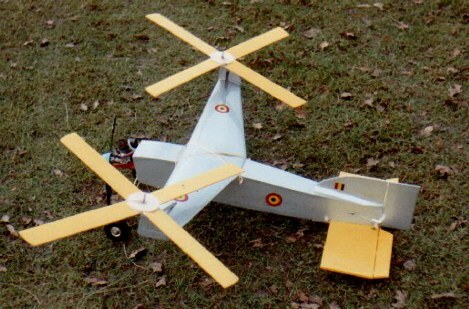 Another rubber driven twin which flies really well because of the long drives to the propellers,built from the Comet kit which you can occasionally pick up from model shops. 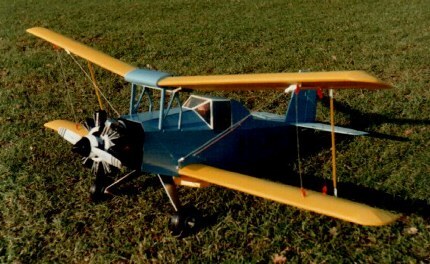 The French owner of this Croses LC.6 (modern Flying Flea) challenged me to build a working flying model of his aeroplane,he said it could not be done,now that was too much of a challenge and I set to work and in a fortnight built this little model on the left,the longitudinal control is by moving the wing fore and aft with very small movements,on the first flight I had the same dilemma as the full size ones that were sensitive to this control it flipped inverted and continued to fly happily along! 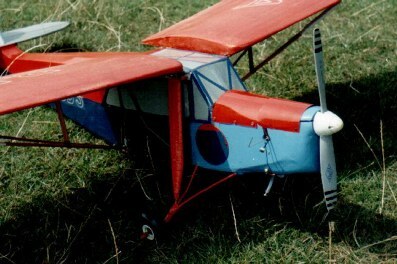 despite my efforts it would not right itself and I had no option but to land it inverted,the real ones did exactly the same due to too much movement and usually decapitated the pilot,once sorted out the model continued to fly very well until only last year when it developed wing flutter in windy conditions and was damaged beyond repair. 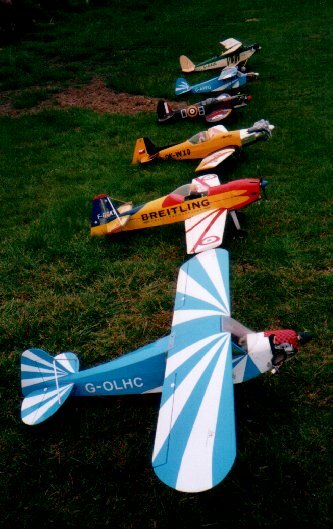 The real aeroplane on the right was built in the owners bedroom and the engine was a Christmas present from his wife,this amazing aviator used to fly the aircraft across the channel every year to the annual Popular Flying Association Rally at Cranfield with no navigational aids other than a compass,a truly colourful character. 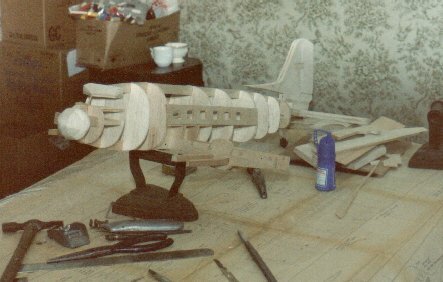 My eleven foot Lancaster project takes shape,here the undercarriage has been added and the flap mechanism installed,each engine has its own servo for individual adjustment,the engine nacelles were made from several layers of brown paper over a blue foam former which was then melted out with thinners,the wing bolts together in three places. The fuselage assembly takes shape and since this photograph was taken the cockpit has been individually framed with thin ply,now a mould has been made for the cockpit and a plug made up,a separate cockpit will be then moulded and placed over the framework,full cockpit detail has been made up and will be fitted on completion of the canopy. 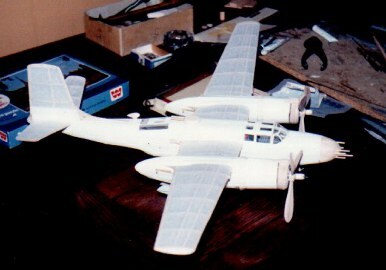 Assembly of the Lancaster took place in September 2001,all of the parts made in my small workshop were finally put together and the result is shown here,hundreds of hours have gone so far into the construction which is now into its third year,difficult to believe that this model was scaled up from an Airfix kit! 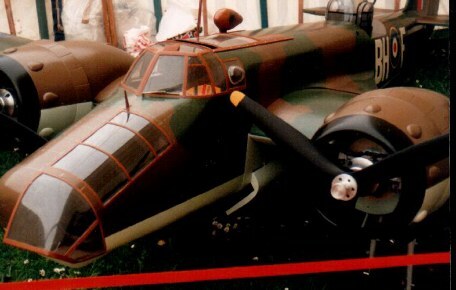 A previous Lancaster built many years ago for control line flying,long since gone due to fuel soakage. 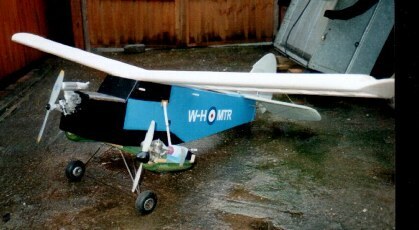 This is my Pipster tri-motor multi engined trainer,designed to help me with assymetric flying on my Lancaster. 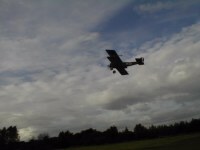 Another view of the Tri Motor now nearing completion. 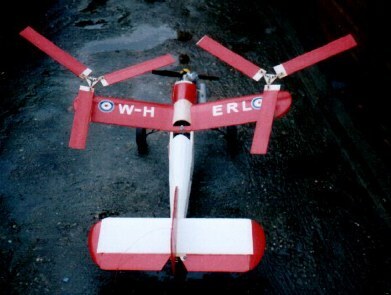 This is one of many Autogyros made over the years,this design is called the Gyrace and has a pretty safe anti torque rotor system which is a real problem with single rotor autogyros,awaiting test flying when the weather improves. 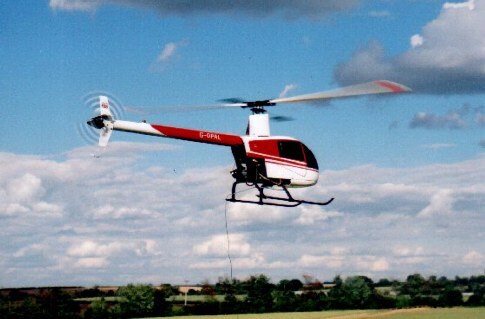 Another view of the Autogiro sitting on top of my real Enstrom F.28 helicopter preserved cockpit section ,little and large! 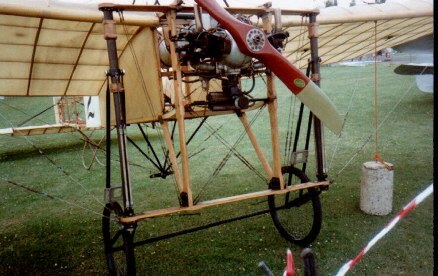 This is one of many Bleriot monoplanes that I have made over the years,note the homemade spoked wheels made in a simple jig. 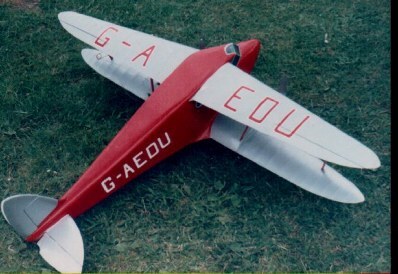 The real thing,G-LOTI Bleriot XI Replica owned by Brooklands Museum Trust and shown at Cranfield on the occasion of the Popular Flying Asssociation Rally held there in 1994,makes for an interesting comparison with my model. 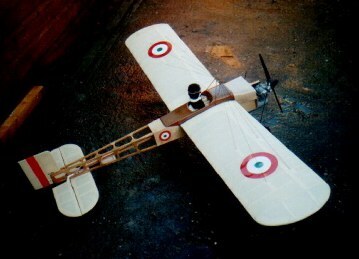 Another view of my Bleriot in Italian period markings. 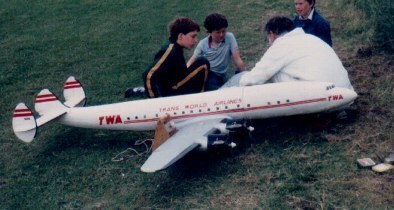 The Nanny in flight doing circuits,I get my leg pulled because the bottom of the fuselage is v-shaped my buddies say I started to build it as a boat! just look at those clouds,it makes you want to go flying. 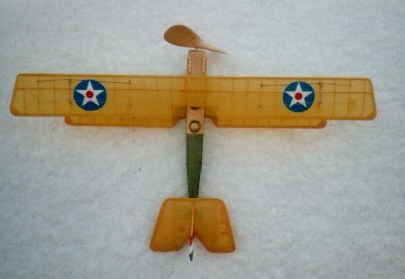 My aeromodelling started with building small rubber powered model aircraft which I still build on occasions,here is my latest a Curtiss Jenny built from plans in a 1930's issue of Flying Aces magazine,the models require a lot of patience to complete and need careful trimming out to fly,you learn a lot from them,this one weighs just over 3 ounces. 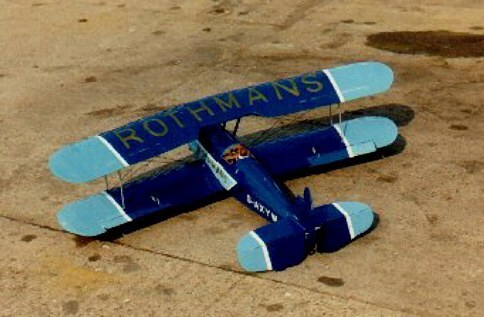 Another rubber powered model,this is a model of Lindburghs aeroplane the Ryan NYP 'Spirit of St Louis' once again built from a 1930's Flying Aces magazine plan. 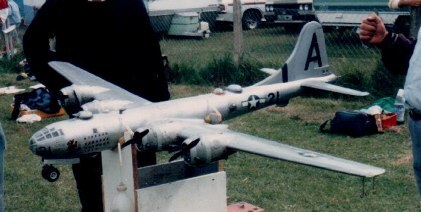 Another view of the two models together agains a snow backdrop. 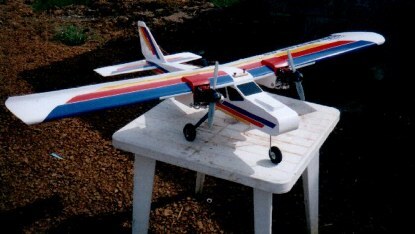 MODELS THAT I HAVE BUILT FROM THE PAST. 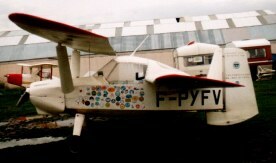 This Bristol Fighter F2B was built by me in 1969 as a free flight model from a free plan in Model Aircraft magazine,due to the use of too much spruce in the structure the model was very overweight and finished its days as an advertisement in an Antique Shop window,it was fitted with a Mills 75 engine. 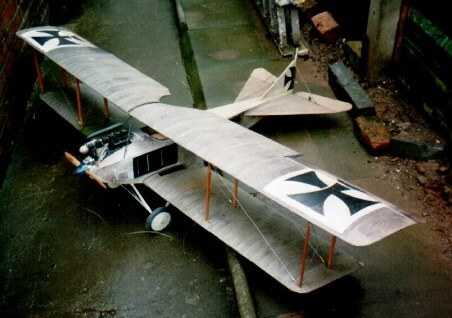 Another view showing the large amount of constructional work in the model,varnished wood struts,laced fuselage panels and dummy machine guns all add to the realism. 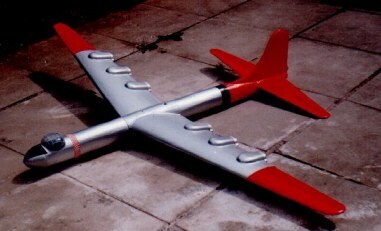 Afront view of the same model showing the complex wing to fuselage fixing. 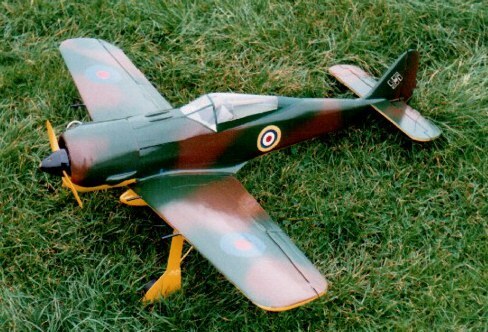 I was a schoolboy when I first made this model of a Percival Proctor aircraft,the real one was owned by Harry Fanshawe who used to fly G-ANPP from Baginton,the model was control line and was designed by myself from scaleing down the real aeroplane,it flew very well until it struck a wire fence one day during a landing approach breaking off one wing,for a picture of the real aeroplane see the Historical Archive page of this web site.